How do you keep up with blogs you read? A few helpful ideas from Kristy's Cottage. How do you keep up with the blogs you read? A few of my blogging buddies and I had an interesting discussion last week when Kristen asked, How do you keep up with the blogs you read? It’s true: bloggers have a tough time keeping up too. As a blogger, and most importantly, as a very busy pastor’s wife and homeschooling mama, I find it very challenging to keep up with the flood of “social media” that lands in my Facebook feed, inbox, and on every digital screen I own! As I’ve been thinking about my priorities for this year, my commitment to cultivating a quiet heart, and trying my best to remove everything that is not absolutely “necessary” in my life, I realized I need to streamline my online time. I’m not going to talk about Facebook or other social media in this post, but I do want to share a few ideas on how I keep up with the blogs I enjoy, and most importantly how I keep from getting overloaded with too much from bloggers. Before I jump into the solutions that are working for me right now, I will readily confess that we bloggers tend to talk A. Lot. Many bloggers are all over social media (“experts” recommend that we share something on Facebook every hour… every hour!). It’s not uncommon for bloggers to post new content nearly every week day (again, “experts” recommend that we blog at least three times per week). The newest thing in blogosphere is email newsletters, so now bloggers are doing everything but sell their firstborns to gain those coveted newsletter subscribers. So how on earth can we readers (yes, I consider myself a “reader”, since I read blogs too) wade through all the emails and updates? How do we stay in touch with the blogs and bloggers that truly speak to us? 1. Don’t try to closely follow too many blogs. There are a lot of great blogs out there, but unfortunately I don’t have time to “follow” them all. 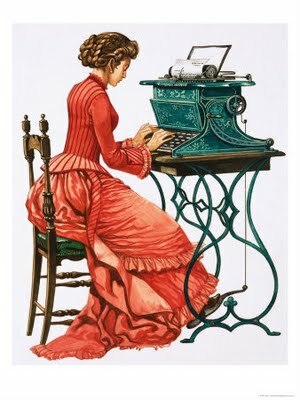 I can’t possibly keep up with fifty bloggers who blog five times per week! In order for a blog to “make the list”, it needs to be three things: encouraging, helpful, and real (versus too idealistic OR sales-y). 2. Subscribe to the ones you really love. In order to keep up with the blogs I don’t want getting lost in the crowd, I subscribe to my favorites via email. (My friend Sara Elizabeth also recommended BlogLovin.) Again, that number is ten or less, since I can’t stand dozens of “updates” in my inbox every single day. I generally also “like” my favorite blogs’ Facebook pages and “follow” them on Pinterest (that way new content shows up in my feeds). If a blogger (or any website) ends up spamming my inbox with too many emails, or clutters my social media feeds with constant updates or sales pitches, I simply “unfollow”. 3. Create a Pinterest board for posts and articles you want to save. I created a Favorite Reads board on Pinterest for this purpose. If I run across a really great or encouraging post, I pin it to this board so I can refer back to it later. 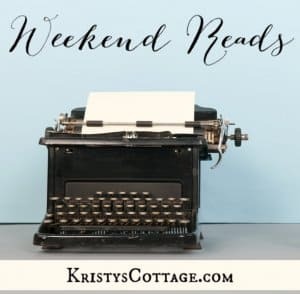 I also share some of my favorite articles from other bloggers in my Weekend Reads posts. If you don’t want your “favorites” to be visible to everyone who follows you on Pinterest, simply create a “secret” board. 4. Cultivate time to read every single week (preferably, at least a few minutes each day). This is so important! We ladies need some “down time” every day, maybe with a cup of coffee or hot tea and an encouraging article to help us stay on track. Sometimes I read while my kids nap in the afternoon, while I nurse our little guy before bed, before I go to bed myself, or, on those rare days when I’m up way before anyone else, during the early hours of the morning. Find what works for you, and do make time to read every day! 5. Determine to never read a blog post without leaving a comment. I read this challenge from a big-time blogger a year or two ago, and I’ve been working to make it a habit. I can’t say that I always leave a comment on every blog post that I read, but I’m working on it! Later this week, I want to share my top ten or twelve blogs (the ones I actually subscribed to and follow every week). For now, I want to thank you for taking the time to read my blog! I’m beyond honored that you’re here reading. And, if you’ve subscribed to my blog via email, thank you for that too! What about you? Do you read a lot of blogs? How do you keep up with them? I keep a folder in the tabs at the top of my browser to add the links to blogs I am interested in. It makes it easy for me to get to them on my own time and then when I find that I am not reading one anymore or someone stopped blogging I delete it from the list. There are probably 20-30 blogs in that folder, but I don’t feel obligated to keep up with each one every day. I have a few that I look at frequently, so I keep them near the top of the list. If there is a specific blog that really encourages me, then I subscribe to it and read it in my e-mail. There are about 3 that I subscribe to, who write on a regular basis. 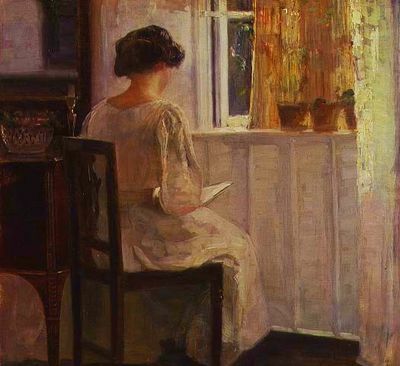 How timely your words are today as just this morning as I looked at my inbox I realized I was up over my head and needed to pare down “again” how much I allow in the inbox and actually have the time to read. There is so much good info out there–a lot that the Lord does use to prick, encourage, scold, whatever I need–and yet I realize that if it is taking time away from my family–do I really need it? And then as a homeschooler on a fixed budget I want to do my best to provide, so I sign up for this that and the other thing in the many giveaways in hopes of getting a thing or two to help and give some of the extras we can’t afford. Amazing how quickly the inbox fills up. I have learned to be a bit more discriminating in the giveaway arena, but it still adds up. I also have come to realize that if I miss that “good deal” even if free–it’s okay. The Lord will find another way to get it to me if we really need it. I guess the bottom line is who am I trusting? 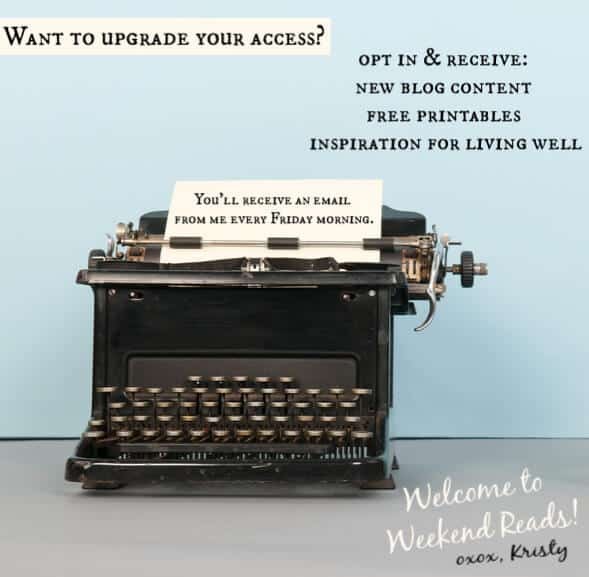 The many blogs and their free printables and giveaways or the Lord? My hope had better be in the Lord! I learn so much from other blogs! I have a handful of favorite blogs that I keep up with. 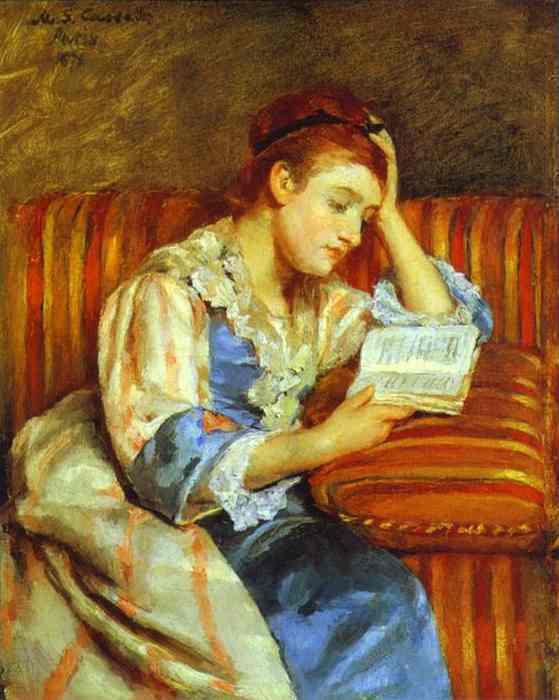 I try to read at least one post a day but if time is too short, I do my best to catch up on the weekends. I love meeting new like-minded bloggers out there too! There are so many great and helpful blogs out there. I LOVE your idea about purposing to leave a comment on any post you read. Rather than be a fly on the wall, I can reciprocate the encouragement I receive from my favorite bloggers. And, it will help prioritize my time. If I don’t have time to leave a comment, I don’t have time to read more posts. You’re a genius, Kristy! Thank you for sharing this. Guilty… of reading many encouraging words here and on other blogs, and leaving with nary a comment! 🙂 I’ve been following your posts for 3 or more yrs, not sure why it’s taken me so long to “subscribe” but I’m doing it now! I’m a mother of 4 boys 6 and under, I truly appreciate your writings, convictions, and the time you sacrifice to share with us. Blessings in Christ to your Texan home from our Wisconsin home! Aw, I’m so glad you’re here, Priscilla! Thank you so much for connecting and taking the time to read and comment! Hope your sweet family is staying warm and well! Hugs. I really like Bloglovin’ for keeping up with the blogs I most benefit from/enjoy reading. I rely more on “liking” from my blog’s Facebook page to keep up with blogs that are in my blogging niche. I’m interested to see what you’re favorite blogs to read are! I just wanted to let you know I’m reading! It was your blog that brought me to the FB group. Thank you for taking the time to post; I know it is time-consuming! I use Feedly to keep track of blogs, and it feels like soooooo much work to click through and comment. 😉 But I appreciated your encouragement about commenting and will be doing more of it. Thanks. Also: I like to follow people on Feedly initially, then depending on the person’s posting/social media style I may end up following them on FB, Pinterest or Instagram instead. I so agree, Kristen, and I’m the world’s worst for reading a blog post and going on my merry way without saying a word! I’m making an effort to offer positive feedback via a simple comment any time I read a blog post that encourages or helps me. I have felt overwhelmed by this too.. when I started blogging I started on blogger and I still love my reading list on blogger, I need to update it with the new blogs I have started following though. I love your advice to comment on many of the blogs you read! Keeping up with bloggers- even ones you love- can be VERY overwhelming!